“Phelps vs. Shark” had viewers on the edge of their seat. The promos featured the five-time Olympian taking to the water to put it all on the line against a great white. And then Discovery pulled the rug out from under them. YALL TODAY IS THE DAY. 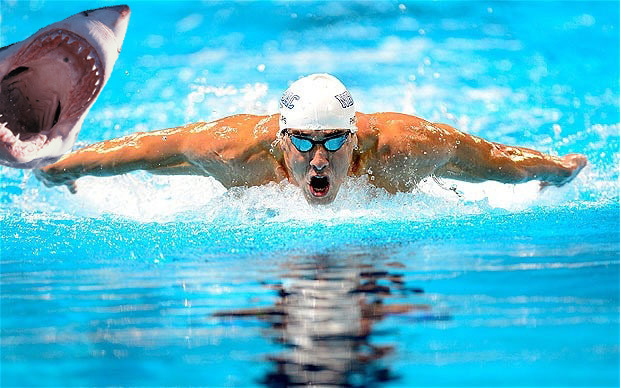 MICHAEL PHELPS WILL BE RACING A GREAT WHITE SHARK. 8PM. THIS IS GOING TO BE THE MOST INONIC MOMENT IN TV HISTORY. honestly the shark week michael phelps race is the most disappointing thing to happen in 2017, and we have a carrot as a president….